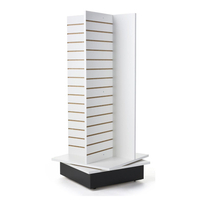 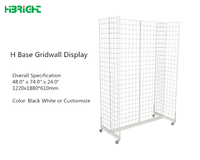 This gridwall display features three sides that makes up a triangular tower. 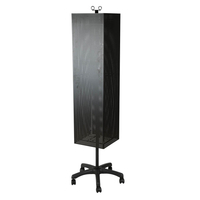 The bases come with casters for rolling the fixtures to and from. 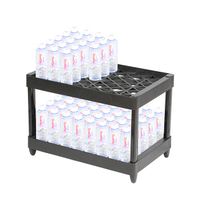 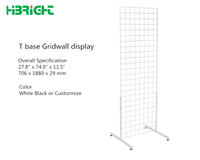 This gridwall display is the base unit; hanging accessories can be purchased separately but we also sell pre-packaged kits with many of the most popular accessories included. 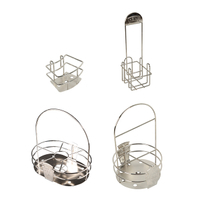 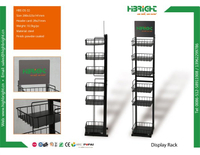 The three sides can support a plethora of products, thanks to the solid steel construction. 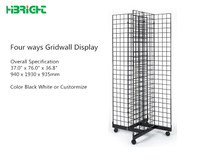 The gridwall display uses up only two square feet of floor space. 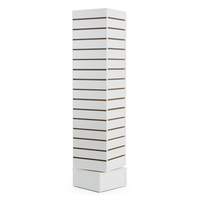 The rest of the fixture towers above! 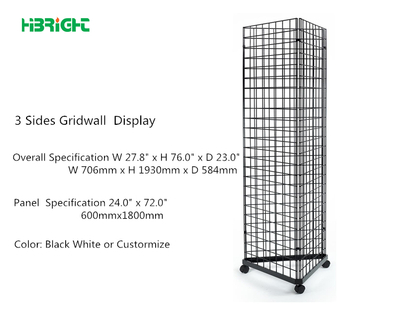 This gridwall display is an affordable option for those with a tight budget. 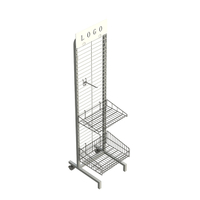 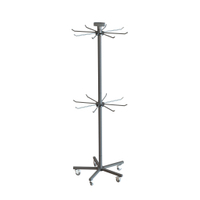 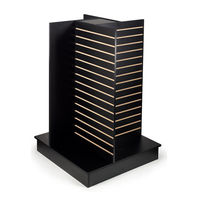 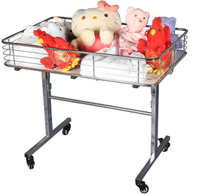 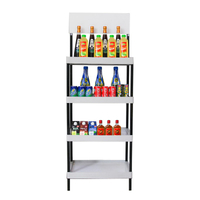 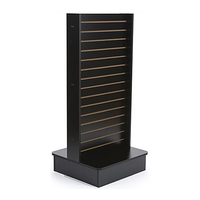 Use to display articles of clothing or other types of merchandise. 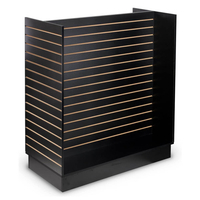 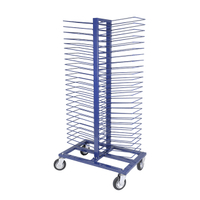 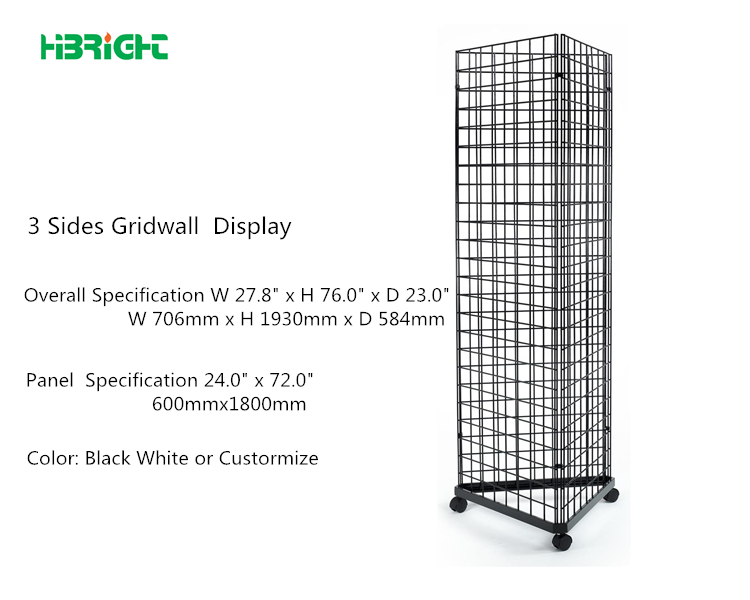 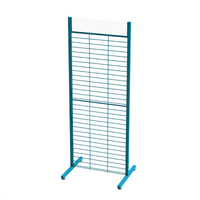 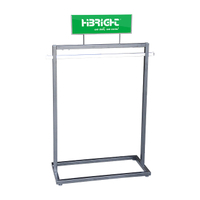 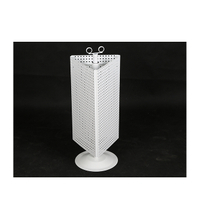 Buy this gridwall display for your sales floor.